This edited collection brings together the latest research into the range of sports known as football. 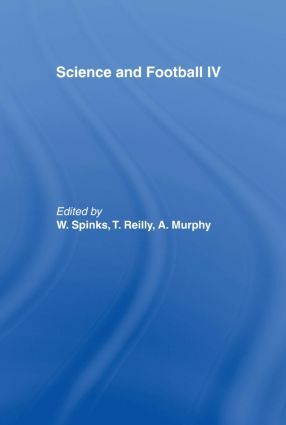 With contributions by a large number of the leading international researchers in the field, the book aims to bridge the gap between theory and practice in football, and to raise the awareness of the value of a scientific approach to the various football codes. The book contains nearly seventy papers, examining aspects ranging from match analysis and medical aspects of football to metabolism and nutrition, psychology and behaviour, and management and organization. Containing a wealth of research data, and a huge range of examples of how science can be applied; this book represents an invaluable reference for coaches, trainers, managers, medical staff, and all those involved in supporting performers in the many football codes.